Richard Allen Stamps "Ricky" was born on July 29, 1963 in Nashville, Tennessee to parents, Douglas Stamps and Peggy J. Walden Stamps. He passed away Friday, June 2, 2017 at the Vanderbilt Medical Center at the age of 53. He is survived by his wife Carol Stamps of Westmoreland, TN; by his loving mother, Peggy J. Stamps of White House, TN; his sister and brother-in-law, Melinda and Tommy Parker; two special nieces, Misty McCollum and husband Kevin, Brandy Denny; one great niece, Zayda Denny. A graveside service will be conducted 3:00 p.m. Monday, June 5, 2017 at Hermitage Memorial Gardens with Bro. Ken Castleberry of Parkway Baptist Church officiating. So sorry for y’all’s loss. I haven’t seen Rick since high school, but just wanted to let y’all know, he brightened up my high school years. We had several classes together both in junior high and high school. Sorry to hear of his passing at such a young age. Will be praying for comfort. I am so saddened by this. I’ve known Rick and his family for many years. Out thoughts and prayers go out to his family during this time of saddness. I am so saddened by this. I’ve known Rick and his family for many years. Out thoughts and prayers go out to his family during this time of loss. God be with each and everyone! I am so saddened by this. I’ve known Rick and his family for many years. Our thoughts and prayers go out to his family during this time of loss. God be with each and everyone! So sorry for your loss but he is no longer in pain. Keeping everyone in my prayers for comfort for everyone. 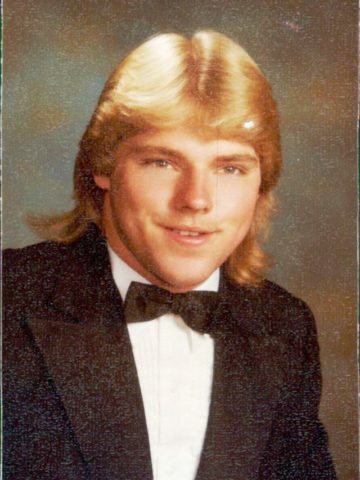 I went to jr and high school with Rick… he was a cool guy ?